Edit - InBoundio also has its own inbound marketing wordpress theme now which comes with 5 plugins and howto guide, do check it out. If you are a small business or a webmaster selling some products or service online, you must be having a blog (if not, create one right now) as it helps you to do better content marketing. Unarguably, WordPress is often the default choice of bloggers and small businesses as it is highly customizable and popular with exceelent plugins and themes. Since you want to use your blog as first touch point in your sales cycle, here are 10 themes which you can use for marketing your product or service. These themes are free and optimized for search engines as well as responsive. 1. zAlive - zAlive is hosted on wordpress and is one of the most popular free marketing theme in 2013. The theme has big image below menu where you can put your main product or services images (like what you do and how you work). Download | Demo 2. 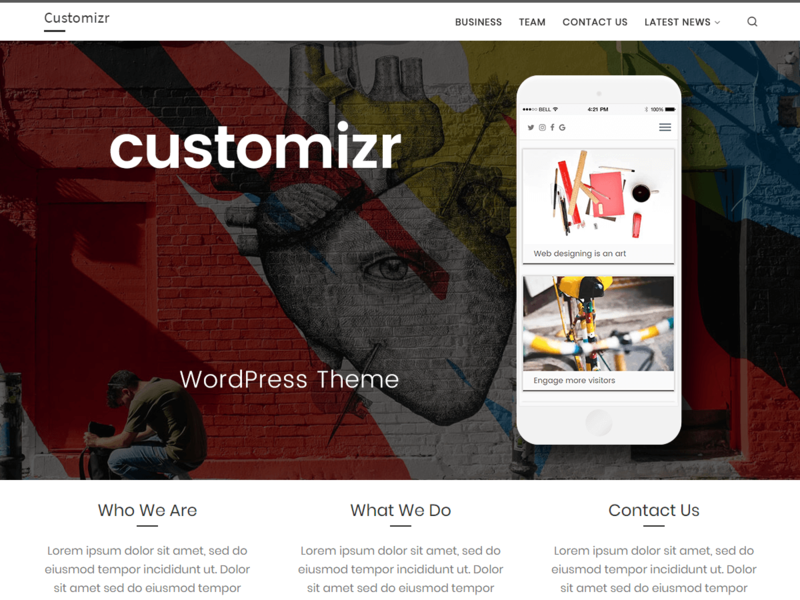 Customizr - Customizr is another popular wordpress theme and is ideal for SaaS products as you can have big central image and product description below it. Download | Demo 3. Origin wordpress theme - Origin is very simple theme which businesses can use to blog. Download | Demo 4. Oceanus - This is another wordpress theme which small businesses can use as their blogging theme. Download | Demo 5. JustBlue - Download | Demo 6. Great - Download | Demo 7. Elegant - With sharp colors, elegant can be used to display your services or can also be used as business blogging theme. Download | Demo 8. Agency - Agency is ideal for marketing agencies or any services businesses, the theme is simple and fully optimized for mobiles and social media. Download | Demo 9. Design - Design with some customization can be used by designers or businesses selling single page products. Download | Demo 10. 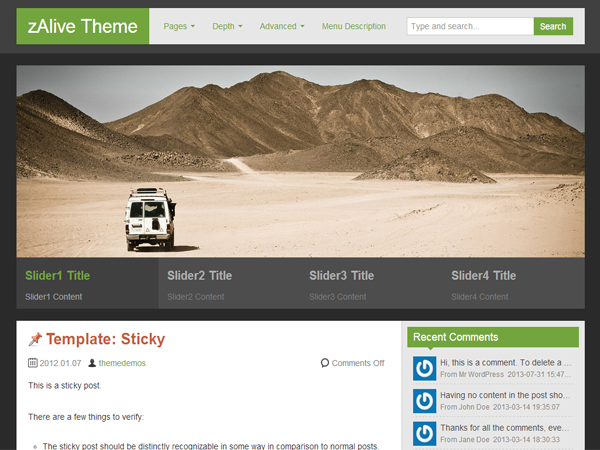 Responsive - Responsive is the bare bone theme and is ideal to build your own custom wordpress theme from scratch. Download | Demo Bonus Theme 11. Orion - Orion can be used by businesses to display single product or services. Download | Demo You can find more such free wordpress themes here, here, here and here.